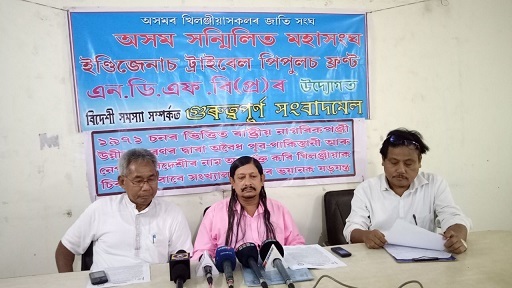 At a time when Asom Gana Parishad (AGP), All Assam Students’ Union (AASU), Asom Sahitya Sabha (ASS0 and most of the organizations of the State have sought publication of the updated National Register of Citizens (NRC) to protect the indigenous people, Asom Sanmilita Mahasangha executive president Matiur Rahman on Tuesday alleged that AGP, AASU and Asom Sahitya Sabha have been politicising the NRC issue. The final draft NRC has been scheduled to be published by June 30, 2018. However, it has been reported that the final draft NRC publication might be delayed due to floods across the State.